Over the last decade, the Partnership for Environment and Disaster Risk Reduction (PEDRR) has supported Member States, major stakeholders and local communities in promoting ecosystem-based solutions for disaster risk reduction (Eco-DRR) and ecosystem-based adaptation (EbA). 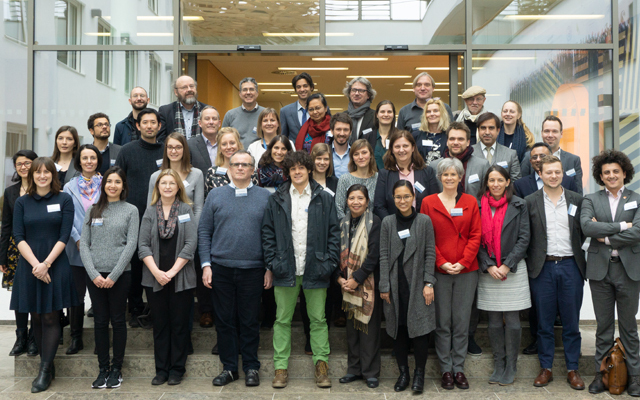 PEDRR celebrated its 10th anniversary in December 2018, and had organized its Fourth International Science-Policy Workshop on the UN campus in Bonn. On 12-14 February 2019, more than 50 international researchers and practitioners met to review the progress made in the field of Eco-DRR, identify science gaps, and explore opportunities on the science-policy horizon to advance the 2030 international development agenda. The event brought together communities concerned with ecosystem-based disaster risk reduction, adaptation, biodiversity conservation and planning, and established a dialogue on how to better mainstream and utilize ecosystem-based approaches in the context of sustainable development. The workshop was hosted by the United Nations University Institute for Environment and Human Security (UNU-EHS) and UN Environment’s Crisis Management Branch with contribution from PEDRR partners such as the Global Network for Civil Society Organisations for Disaster Reduction (GNDR), International Union for Conservation of Nature’s Commission on Ecosystem Management (IUCN-CEM), UN Educational, Scientific and Cultural Organization (UNESCO), The Nature Conservancy (TNC), Wetlands International (WI) and the network Friends of Ecosystem-based Adaptation (FEBA).